Many biotherapeutical products, including antibodies, vaccines, and recombinant proteins, are generated through biological processes. Despite of extensive purification steps employed, residual contaminants, as called host cell proteins (HCP), from the biological systems that are used to generate the biologics may still present in the final product. These HCPs, even of low levels, may compromise the safety and efficacy of the biotherapeutical products. Thus, detection and evaluation of HCP in biotherapeutical products are essential for quality and safety control. 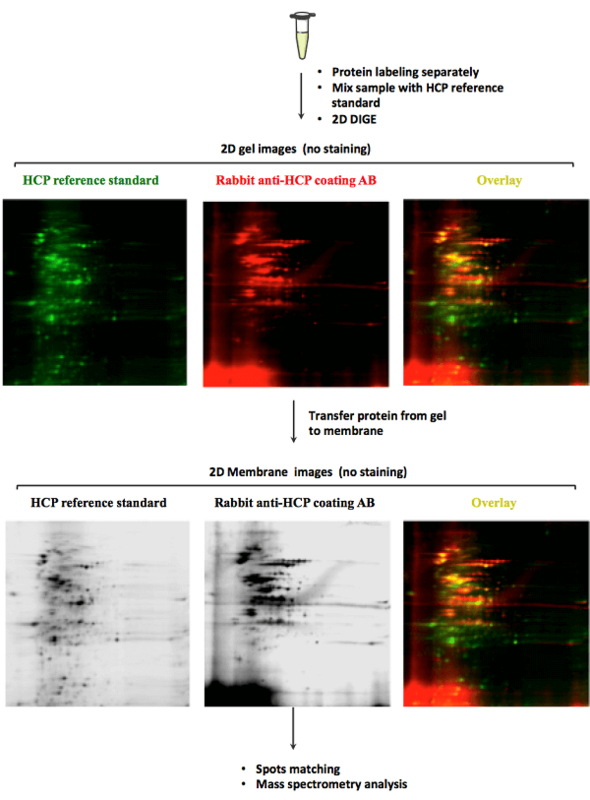 MtoZ Biolabs uses 2D DIGE and Western blot technology for HCP analysis. This technology offers high sensitivity and can be employed for analyzing HCP from multiple species, such as mammalian cells, yeast, bacteria, and so on. Just tell us the potential HCP that may be contained in your sample, we will take charge of all the following analysis.